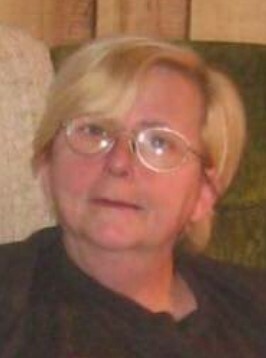 Helen E. Ritchie, 62, of Central Lake passed away on February 7, 2019. Helen was born in Detroit Michigan on July 28, 1956 to Donald & Betty (Parker) Ritchie. Her family moved to Ellsworth, where Helen attended school. Helen lived at the family farm for many years, eventually moving to Central lake with her siblings. Helen worked at Shanty Creek for many years, but spent the majority of her life chasing her favorite nieces and nephews and enjoyed being a special GREAT aunt to the next generation - Shantel, Trevor, Sienna, Alexis, Mackenzie, Makayla, Aiden, Tristan, Jaiden, Trenton, Sonya, Emily, Mason, Austin, Brendan, Tristin, Hayden, Addison & Tyler. She was looking forward to adding another Great in her title, with the impending arrival of her first great, great nephew Oakland. In her free time, Helen enjoyed cross-stitching blankets for all the new babies in the family, watching sci-fi, cheesy horror films & reality tv. She also loved making new memories vacationing with her kids. Helen is survived by her beloved pug - Ogre, siblings - David (Ann), Russell (Pauline), Dennis (Judy) Donald, Harold, Geri & Daniel; many nieces & nephews including Teressa, Melinda (Jed), Mary, Tiffany, Nick, Candice, Jessica & Katie, all of whom would argue that she loved them most! Helen was preceded in death by her parents, her brother-in-law Nick and her nephew Donald. Per her wishes, Helen will be cremated and a family gathering will occur at a later date. Arrangements have been handled by the Central Lake Chapel of Mortensen Funeral Homes. Please sign her online guestbook www.mortensenfuneralhomes.com.